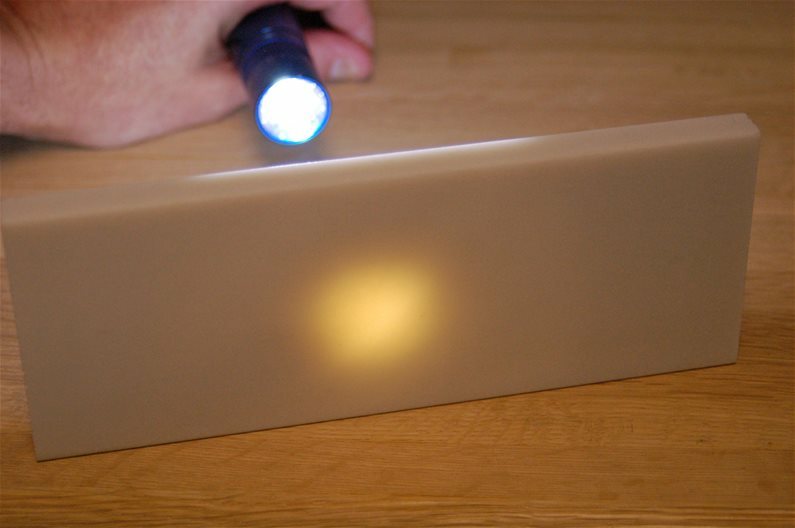 Is a Translucent Stone Really Translucent? 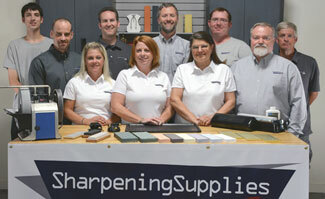 Home / Sharpening Articles / Sharpening Stones / Is a Translucent Stone Really Translucent? Is a Hard Translucent Arkansas Stone Really Translucent? The Hard Translucent Arkansas Stone is actually translucent. We've put it to the test to remove any doubts. 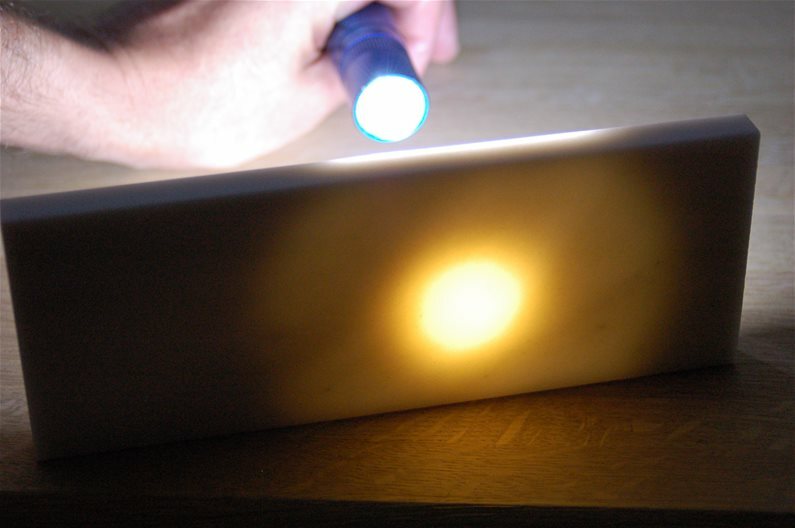 To demonstrate the translucent properties of this stone we simply turned off the lights and turned on a flashlight. 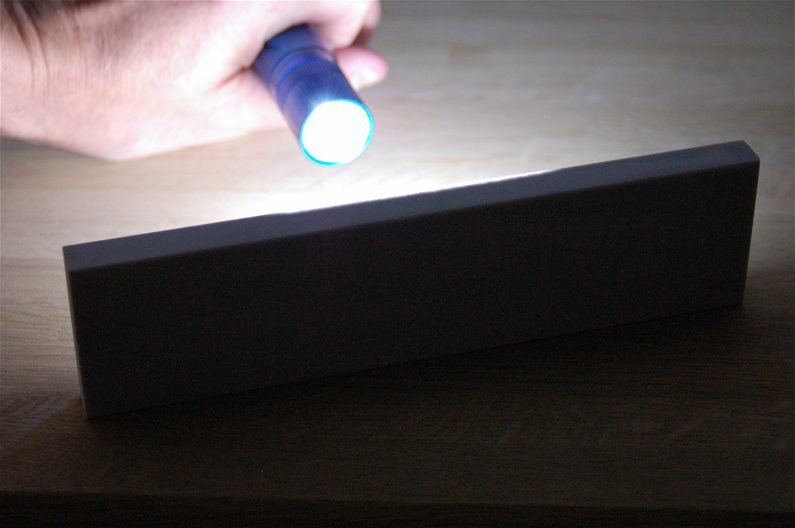 Even though this simple handheld flashlight is aimed at a 1/2" thick stone, the light clearly passed through. Even when we turned on the lights, the flashlight beam was still clearly visible through the Hard Translucent Arkansas Stone. To demonstrate that all stones are not translucent, we picked a 1/2" thick Hard Arkansas Stone from our inventory. While still a fine stone, the light does not pass through the stone at all. If you still have doubts, you're welcome to give it a test yourself. We have set up links to a few Hard Translucent Arkansas Stones below.